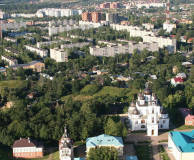 Dmitrov is a small and very old city located 65 km to the north of Moscow. 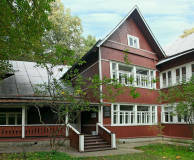 It was founded by Prince Yuri Dolgorukiy after his foundation of Moscow. In the past, Dmitrov formed the northern defensive line of Moscow. Its earliest rampart still exists today. 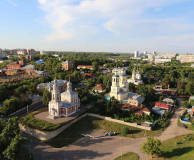 The small town of Kimry is located 160 km away from Moscow in Tver Region. Tourists are attracted to this city mainly due to more than 100 architectural landmarks, among which the wooden architecture in the Art Nouveau style is the most popular. 140 km away from Moscow lies a beautiful town – Pereslavl-Zalessky. It is one of the towns of the "Golden Ring" of Russia. Its history is closely intertwined with the names of the Prince Alexander Nevsky, Tsar Ivan the Terrible, and Emperor Peter the Great. 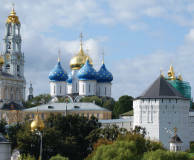 Kolomna is one of the best-known and most popular cities for tourists in the Moscow Oblast. 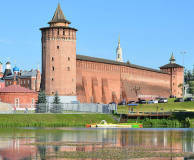 You can easily do a day-trip from Moscow to Kolomna. The city features an overwhelming number of historical monuments, churches, interesting buildings and museums. One of the best known open-air memorial museums in Russia, Muranovo has preserved all features of a 19th-century country estate. The most well-known representatives of the Russian gentry grew up there, away from the hustle and bustle of the capital city. 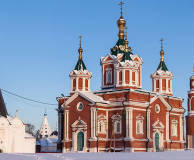 The settlement of Radonezh, located 55 km from Moscow in the direction of Sergiyev Posad city, is one of Moscow Region’s landmarks and a major destination for pilgrims. It is in Radonezh young St. Sergius of Radonezh decided to become a hermit. 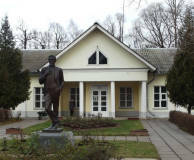 Shakhmatovo, Tarakanovo, and Boblovo manors have been merged into the Alexander Blok and Dmitry Mendeleev Historical, Literary and Nature Museum and Reserve, related to the Russian poet Alexander Blok and to Dmitry Mendeleev, the outstanding Russian chemist. The poet and writer, whose creative mind produced work contrary to the Soviet authorities, was only 46 when he fell into disrepute with the government. 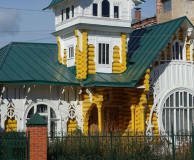 He had to retreat to his dacha in the writer’s colony of Peredelkino, where he felt more safe. 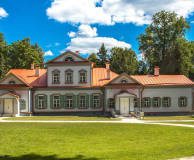 Located on the bank of the Vyazyomka River, 54 km to the west of Moscow, the estate of Bolshiye Vyazyomy is a beautiful area dating back to the 17th and 18th centuries. 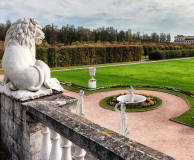 It is truly one of the most enchanting places associated with Russian poet A. Pushkin. 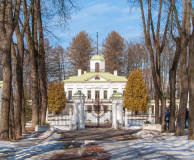 The estate of Zakharovo, located in the Odintsovsky District of the Moscow Region, 54 km to the west of Moscow, contains a mansion, annexes, an old pond and a park. Pushkin, the founder of Russian literature, lived in Zakharovo until he turned seven. 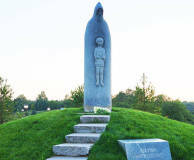 Borodino field is a huge memorial, a monument to the military glory of Russia. 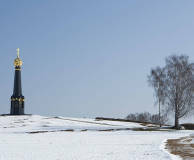 It is situated not far from the small settlement called Borodino and has been a battlefield twice. Napoleon’s Grand army and the Russian troops led by M. Kutuzov fought here in1812. 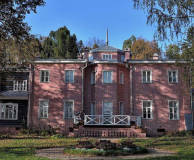 The estate of Serednikovo is a large architectural and landscape ensemble dating back to the late 18th century. It is also associated with Russian author, Mikhail Lermontov. 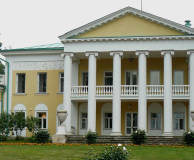 The estate surrounded by a landscape park, is a fine sample of Russian classicism. 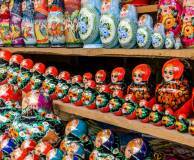 The handicrafts and artistic achievements of craftsmen are an important part of Russian culture. 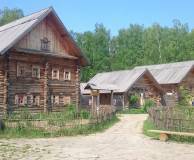 The Moscow Region is one of the ancient centres of Russian folk art. 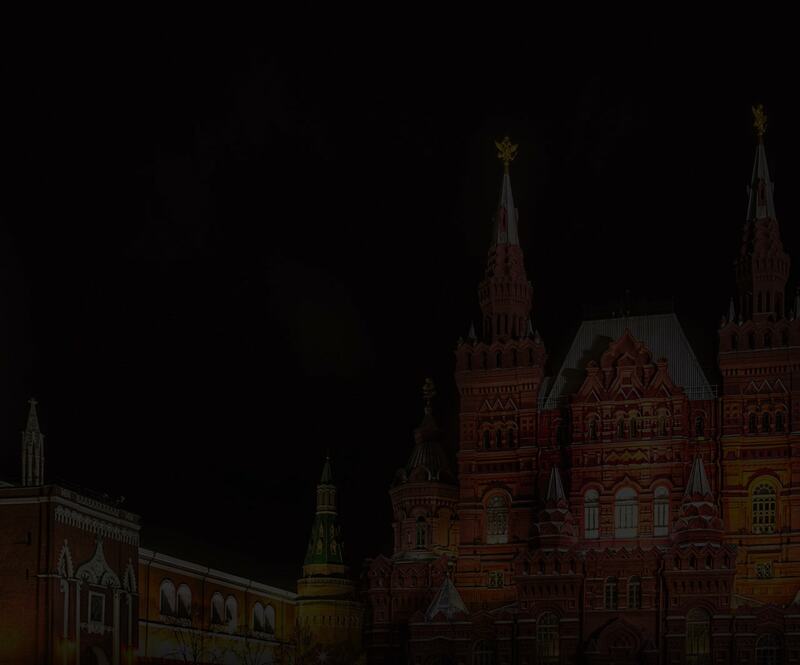 Artists’ teams and workshops grouped around Russia’s capital throughout the centuries. The ancient town of Serpukhov is situated 99 km to the south of Moscow in one of the most charming locations of Moscow Oblast. It is first mentioned in Russian chronicles in 1339, which makes this town almost two centuries younger than Moscow. 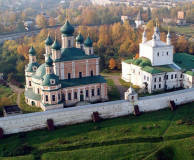 Over the last few years monasteries around Moscow have been rapidly reconstructed. Over the hundreds of years they have been glorified by great saints, hermits, and preachers. Objects of religious reverence such as miraculous icons and relics are kept in them. The Abramtsevo Museum Reserve is one of the most famous memorial and art museums in Russia, located 60 kilometres away from Moscow. 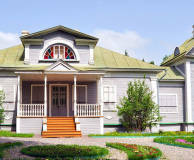 Abramtsevo is the birthplace of the Russian Art Nouveau, the ‘national-romantic style’ which assimilated the best of folk art.